REGISTER NOW to attend the 2019 UK Strong Endurance! 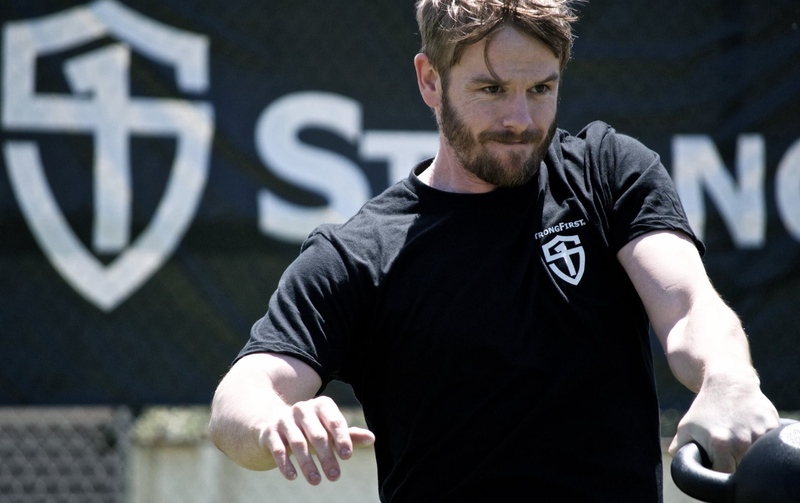 Renew your StrongFirst Instructor Certification (SFG, SFG II, SFL and/or SFB) at no additional cost when registering for one of our Special Events. Must hold a current certification to be eligible. Registration spots are limited. Check the event registration page for the most up-to-date information and availability. Visit our recertification page for more information here. There are times when simply enduring is not enough. One must carry on at a high level of strength, speed, or power. A football game. An obstacle course in a full kit. Moving grandma’s antique furniture. For decades such endurance had been built with “metcons.” Then a Russian professor reframed the question and changed history. What if instead of training the athlete to tolerate ever-increasing concentrations of lactic acid we trained him to produce less of it? Anti-glycolytic training (AGT) was born. Enter Strong Endurance™, the last word in “anti-acid” training. Fighters and team sport athletes who must explode over and over. Because 20x20m sprints biochemically have nothing in common with a 400m run. Athletes for whom speed is king. Point fighters. Ping pong players… You cannot afford to learn slowness through HIIT. Military, law enforcement, first responders. You must always be ready to save lives and cannot afford conditioning that leaves you sore and smoked. Endurance athletes who seek an extra edge. For the last four years StrongFirst has been extensively experimenting with anti-glycolytic protocols and conducting original research advancing AGT into new directions. We have been very successful with “anti-acid” endurance protocols for kettlebell quick lifts, pull-ups, push-ups, etc. We also have seen a lot of “what the hell effects”—improvements in non-trained events and body composition. Then we decided to push the envelope and apply AGT to some event that has an exceptionally “acidic” reputation. We chose a popular timed high rep “high intensity” workout. After all, if it worked for judo, why would not it work for this smoker? It did. 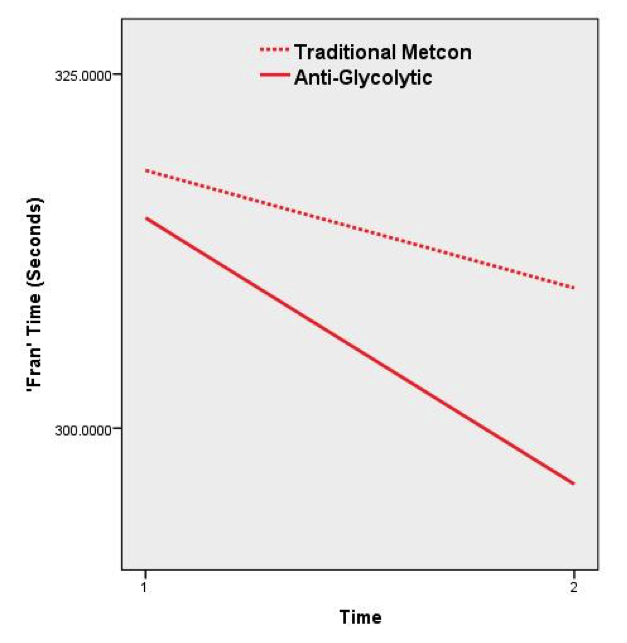 Twenty subjects with at least a year of “metcon” experience were assigned to an anti-glycolytic protocol. Twenty matched subjects who served as controls continued their usual race-the-clock and feel-the-burn training. Both groups also did strength training. Six weeks later the anti-glycolytic group improved 2 ½ times as much as the controls, shaving off 15 seconds off their time versus 6 seconds. Russian coach Andrey Kozhurkin made a 50,000-foot observation on the two diametrically opposed philosophies of stimulating adaptation. The alternative is to train to “avoid (or at least delay) the unfavorable internal conditions… that lead to failure” or reduced performance. Let us use strength training as an example. The majority of bodybuilders and recreational athletes use the first approach. They train to failure. In contrast, strength athletes such as Olympic weightlifters and powerlifters follow the second approach. The first 1,000-pound squatter Dr. Fred Hatfield famously proclaimed that one ought to “train to success,” as opposed to failure. The differences between the American and Russian powerlifting methodologies notwithstanding, both countries’ strength elites share the same conviction that failure is not an option. In endurance training the first philosophy represents the consensus. Coaches expose athletes to acid baths to improve buffering. This is what Arthur Jones from Nautilus called “metabolic conditioning” back in 1975. We shall go the other way. The tools of classic Russian anti-glycolytic training—and how to apply them to program design. The next generation of anti-glycolytic training—developed and tested by StrongFirst. For those dialed in biochemistry—the science behind the system. 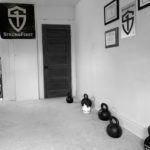 State of the art kettlebell training plans (swings, snatches, C&Js) that develop a wide range of qualities—while putting a premium on power. Minimize fatigue and soreness while leaving plenty of energy for other pursuits. Initially, I tested the [long cycle C&J at 8] reps with 2x32kg. [Six weeks later] I scored 15 repetitions on the final test while adhering to the sprint pace. While my weight remained the same, I lost 6mm testing my skinfolds with calipers. I did visibly gain more size in my shoulders, arms, and thighs (according to my peers). Regarding elements of performance, I was able to better manage 10 minute rounds of sparring and was able to complete 5 consecutive rounds without needing longer than the customary rest. I did have a competition near the end cycle and was able to compete against a competitor who outweighed me by 45 pounds. I found that during the match I did not struggle with energy (mid and long term) as I had in past competitions. The “strong endurance” principles have made our conditioning not only more productive but, more importantly, it leaves us with the energy we need to do our primary job, play baseball!! Less than a month after I took a solo trip to Santa Fe, NM to go mountain biking, 7,200 feet of elevation. I rode close to 17 miles on several marked single-track trails with 2,000 feet overall of elevation gain, with the total weight of about 260 pounds (bodyweight plus bike plus pack). I was able to ride most of the goat-like technical climbs and long, gradual ascents with little trouble… I was pleasantly surprised at my ability to recover in-between climbs and it was the first time I didn’t have to stop due to cramps…which made for a fun and enjoyable day, even though it was very challenging… Thanks for the great program! I was very inspired when I attended the Strong Endurance seminar with Pavel. I like the science that he has put into looking at strength and endurance in a completely different perspective. 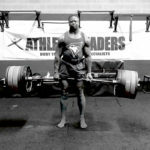 Whether we realize it or not, he’s handing us a less-is-more approach and an efficient and effective way to achieve the maximum benefit of each workout without doing too much or too little. In my 20 plus years of coaching, I have come across only a handful of training methodologies that have greatly influenced the way I program. Pavel’s breakthrough program has been a game changer not only for my endurance athletes; Strong Endurance has made me a much better coach to my professional athletes. 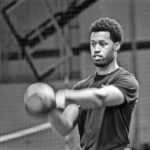 But do not let the word “endurance” make you think it is all about long distance running or doing 1,000’s of swings; this program is about creating intelligent, sustainable programs for any population. The seminar takes very complex subjects and presents them in a way that is very educational, but more importantly, very simple to implement. I sincerely believe that any fitness professional who attends the Strong Endurance seminar will come out a much better coach. Thank you, Pavel, for sharing!! Peter Park, strength and conditioning coach for Kelly Slater and Lakey Peterson (surfing), Giancarlo Stanton, Justin Verlander, Aj Ramos (baseball); Xavier Henry, Greivis Vasquez (basketball), Ken Roczen and Adam Cianciarulo (motocross), Lance Armstrong (cycling). 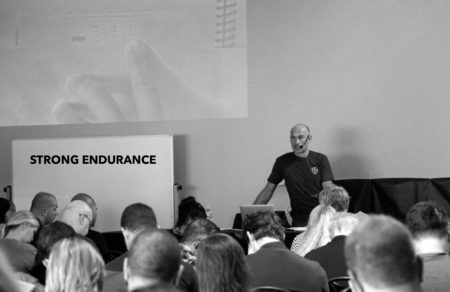 With his Strong Endurance seminar, Pavel Tsatsouline makes one of the most significant contributions to the strength and conditioning community in the last 30 years. Plenty of what we’ve been taught about endurance has been based on research that was misinterpreted, ignored, or incorrect. In this era, we’re fortunate to have Pavel teach us to be more efficient. He spent years perusing research in biochemistry, physiology and psychology from around the globe, and then distilled it all into practical applications that will benefit any trainer, coach or fitness enthusiast that seeks extraordinary performance. Since attending the seminar, and subsequently incorporating the parameters and strategies, my athletes have experienced remarkable improvements in endurance. Glycolysis is the energy pathway of prey, cancer, and reptiles. You can do better. Learn how to build a race car—with a hybrid’s fuel economy. Details of accommodation at the venue will be sent to you shortly after registration.